The UAA men's basketball team has expanded its roster for next season by adding a new player and an old player. Sjur Berg, a 6-foot-7 forward from Norway with a nose for rebounds, will return to the team after taking last season off. Niko Bevens, a 6-6 guard with long-range shooting skills, is a transfer from Division I Montana. Bevens played sparingly for the Grizzlies last season as a sophomore – 24 minutes in 15 games. But as a freshman at North Idaho College, he posted one of the nation's best 3-point shooting percentages at any level – 49.6 percent on 110 of 221 shooting. "He is an elite shooter with deep range who will fit perfectly into our system," UAA coach Rusty Osborne said in a press release. "His ability to stretch the floor will benefit everyone around him." Osborne said Bevens was a 50/40/90 shooter in high school in Beaverton, Oregon, meaning he shot better than 50 percent from the field, 40 percent from 3-point range and 90 percent from the free throw line. 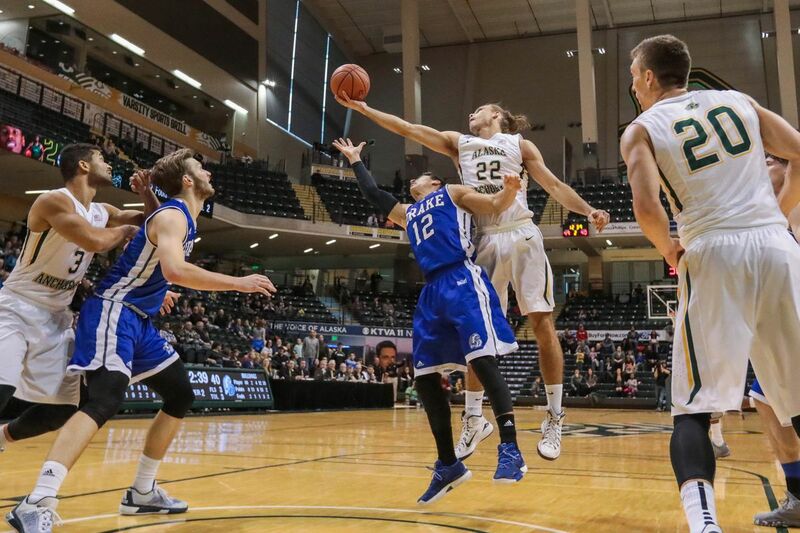 At North Idaho, Bevens played with another transfer headed to UAA — Tyler Brimhall, a 6-5 guard/forward. In the 2016-17 season, they helped North Idaho to a 25-5 record. Berg has played 58 career games for UAA and was a starter as a freshman before a season-ending elbow injury. Over three seasons, he averaged 3.0 points and 3.5 rebounds and shot 52 percent from the field. He played for Norway in last summer's World University Games. Berg took a year off from school to attend to some family matters, Osborne said, and has already signed up for fall classes. "We look forward to being reunited with him in August," Osborne said. "As he has shown in the past, he is a superb rebounder who will strengthen our forward position next year. He had a very good summer in 2017 representing Norway in the World University Games, and I know he will put in the time to be ready this summer." Bevens and Brimhall are among four new players for the Seawolves. The other two are freshmen from Alaska – Tobin Karlberg of Grace Christian and Travis Adams of Barrow.